The Prestige Eyebrow & Lash Specialist - Newly opened on the third level of Pacific Plaza at unit #03-08 is a luxury beauty parlor which specializes in Eyebrow embroidery, Eyelash extensions and other related treatments for both men and women. It is also the very first beauty parlor that specializes in Men's eyebrows as well as shaping eyebrows based on Feng Shui for improved luck and fortune. 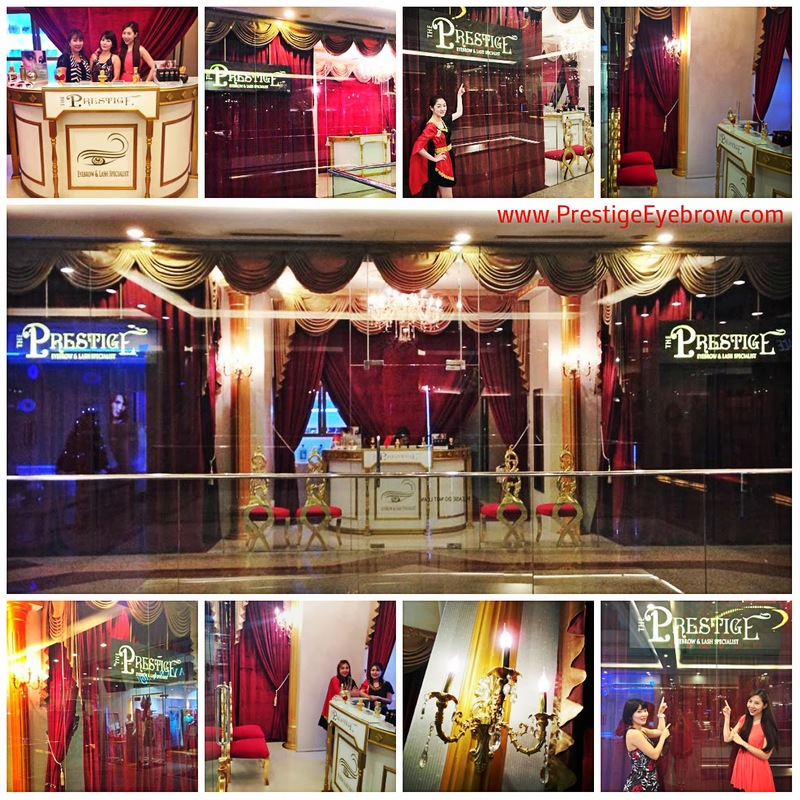 Stunningly and lavishly decorated in velvet red and shiny gold, the entire shop oozes opulent grandeur as though one has been transported back to the days of the "Roman Empire" where royalty enjoy being pampered from head to toe. Similarly, customers are treated like royalty and given the utmost attention and best treatment service. They pride themselves with their highly skilled treatments to leave customers feeling fully satisfied for having transformed to a more beautiful "new" person. How to POWER UP at Work with Stronger & more Authoritative Eyebrows for MEN? Do you feel like you get push around a lot at work? Do people not take you seriously? Maybe its because you look weak. When you look weak, people tend to brush you aside or treat you as invisible. There's a solution for you. You can now look stronger and be taken more seriously at work with a proper strong first impression. With thicker, bolder and darker eyebrows, you would look more professional and leave a strong impression on anyone. Wise men says, your eyes are the window to your soul. Hence, in order to direct attention to your eyes, you would need a domineering eyebrows. A pair of bold eyebrows would help focus attention to your eyes. 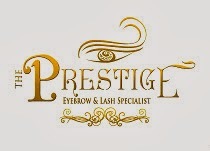 I'm happy to introduce you, The Prestige Eyebrow & Lash Specialist. 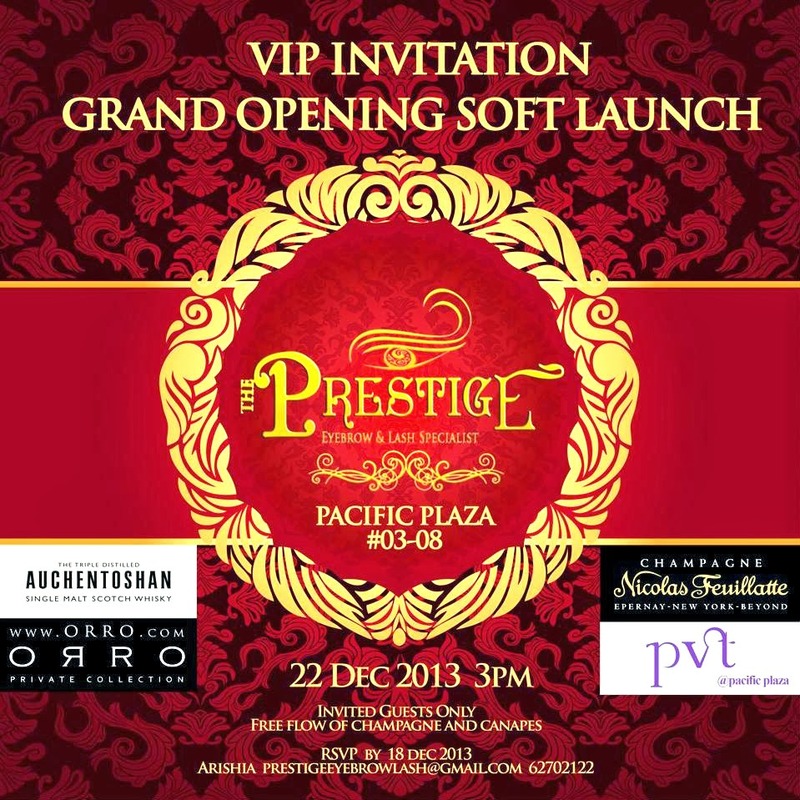 It is a new luxury boutique located at Pacific Plaza #03-08. They are the first eyebrow bar in Asia that specialises in “Men’s Power-Up Eyebrows”. If you noticed, most of the powerful men in the world have really thick, dark and bushy eyebrows. It enhances a male’s credibility and authority. Powerful and attractive men like Tom Cruise, Takeshi Kaneshiro, Andy Lau, etc, have really thick and dark eyebrows. Their thick and bold eyebrows makes them look more much more manly. When I was at The Prestige Eyebrow & Lash Specialist, doing my fortnightly Eyelash extension touch up, I bumped into Celebrity Blogger Jordus Lim. He did the Men Power Up Eyebrows! 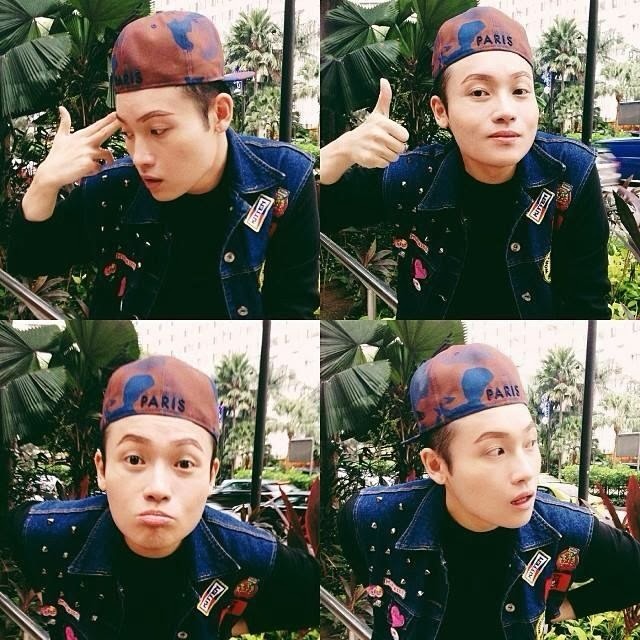 He really looked super cute. He's very friendly and animated. These photos were taken when he had his eyebrows designed and shaped by The Prestige Eyebrow Specialist. You can see the outline of the desired shape of eyebrows he has chosen. Eyebrow Embroidery Enhancement for Men. Jordus 1 - His eyebrows were shaped and drawn to his desired thickness and boldness. Jordus 2 - Eyebrow Crystal Cream was applied to his brows, so that it would not hurt during the process. 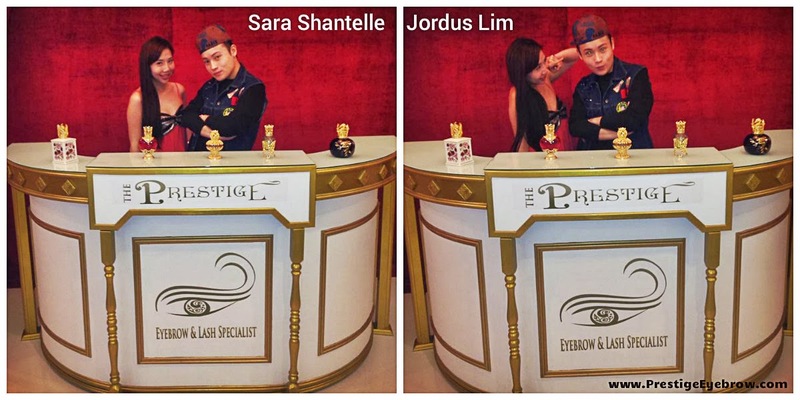 Jordus 3 - Celebrity Eyebrow Specialist - Irene Teo enhancing Jordus eyebrows. Jordus 4 - That's the amazing MEN POWER UP EYEBROWS! The Chinese believes that eyebrows are very important as it would effect your “chi” and personal feng shui. 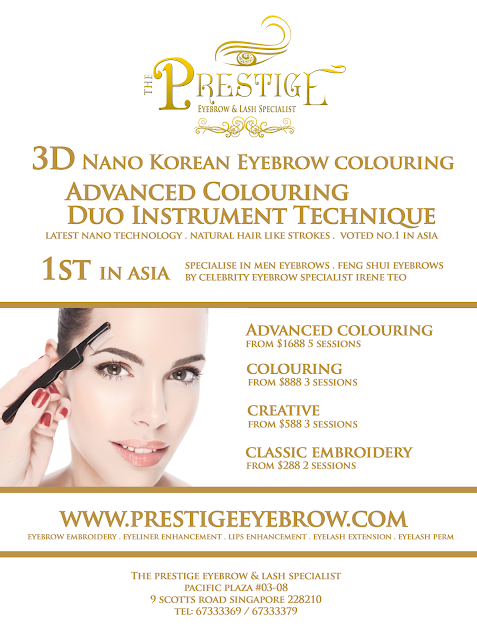 The Prestige Eyebrow and Lash Specialist is proud to have celebrity feng shui eyebrow specialist - Irene Teo, to assist them in providing “Power-Up” eyebrows for men. 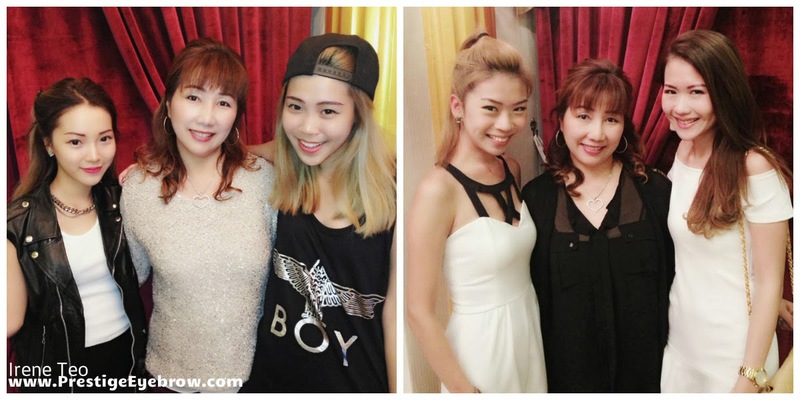 Irene Teo is the pioneer eyebrow expert in her field. She has more than 25 years of experience in the beauty industry and has taught beauty lessons to beauticians worldwide. 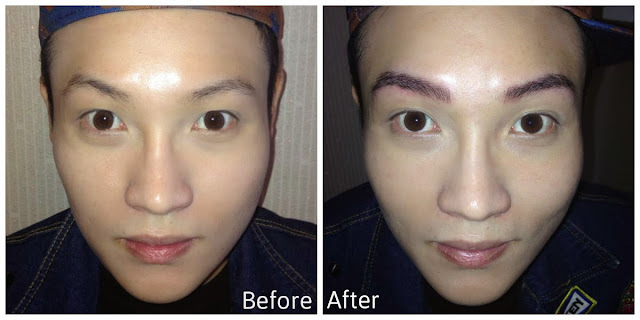 She specializes in men’s eyebrows shape and design that would help a men look more powerful. She is world renowned that even celebrities and royalties from countries like United Kingdom, America, Africa, Indonesia, Australia, etc, would book and fly her down for personal house consultations. Many men with cuts, scars or just basically uneven eyebrows get their eyebrows fixed here. The Chinese also believe that men with sparse eyebrows, have their fortunes, falling through their hairs. In order to maintain your wealth and fortunes, you would need to cover all your holes and empty spots in your brows. 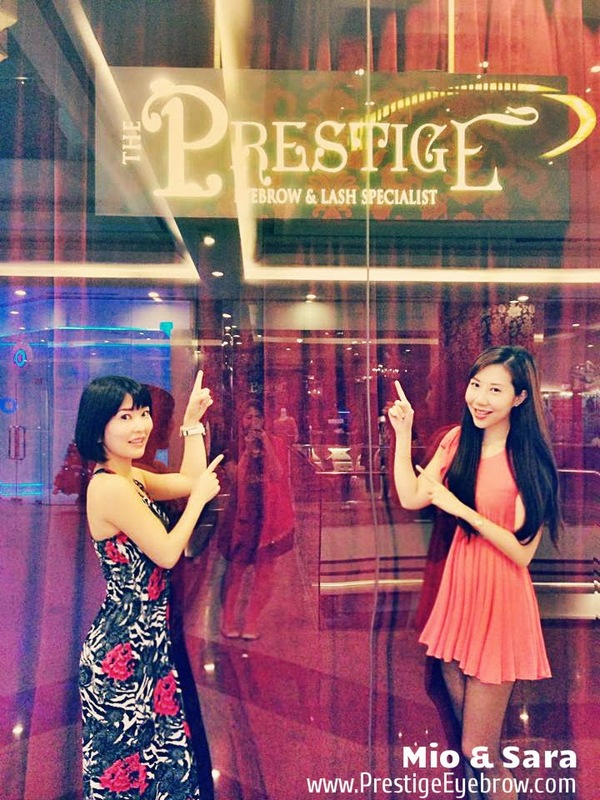 The Prestige Eyebrow & Lash Specialist have served numerous male celebrities, models; doctors, bankers, lawyers and even pilots that chose to do their brows to enhance their look or just to change their fengshui. Just a change of their brow shape can change their look from menacing to friendly, or weak to authoritative. Just as it is important to a woman to have beautiful brows, a lack of brow hair may affect the confidence level of a man. Change and enhance your career, luck, love and fortune now. Define your manly eyebrows! What to EXPECT when you do this Treatment? • Semi-permanent procedure to enhance the looks and thickness of your eyebrows. to create a natural appearance that can last up to 2 years depending on skin type. • Unlike the traditional permanent makeup (tattoo) where green colour pigment are deposited to fill a brow which appears unpleasant and unnatural. • A range of Black, Dark Brown, Light Brown and Grey colour shades are available for you to choose from to match your skin and hair colour. • Eyebrow Nano Embroidery Enhancement Technology is very mild and comfortable. • No pain and no bleeding. • A session takes about 55 minutes to complete depending on skin types and conditions. Eyebrow Embroidery Analysis A photo of your eyebrows will be taken to analyse and explain to you what should be done to enhance your face shape and features from having a fuller set of eyebrows. The Prestige would let you see other photos of other clients so as to understand from you what kind of eyebrow shape you would prefer. Design & Shaping They would draw two different eyebrow designs, one on your left eyebrow, one on your right eyebrow. You would then choose which eyebrow design and shape you prefer. Numbing Process Crystal healing gel will be applied onto your eyebrows. You would need to wait for 15 minutes, so that the treatment would not hurt. Eyebrow Embroidery COLOURING Treatment The Prestige uses an eyebrow embroidery instrument to design hair-like strokes on the top layer of your skin. Next, they would apply colour pigment onto your skin for absorption. As a result, you will have a pair of thicker and fuller natural looking eyebrows which is deemed as lucky when it comes to Feng Shui. Day 1 to 3 Colour will be very dark, allow the colour to be absorbed into skin. After a few days, the dark colour will fade to around 50% of what you see on day 1. Day 4 to 7 Colour pigmentation will peel off. This is a natural process, please do not use hands to peel it off, let it peel off naturally. At this time, colour on the brows may seem uneven after 1st treatment but is normal. Do not worry, use eyebrow pencil to touch up for 1 month. After 1 Month Do a touch up treatment to achieve your desired eyebrow shape and colour. More treatments may be needed for clients with enlarged pores, oily skin or clients who uses alot of whitening skincare products. As all humans, our skin sheds and regenerates new skin cells. 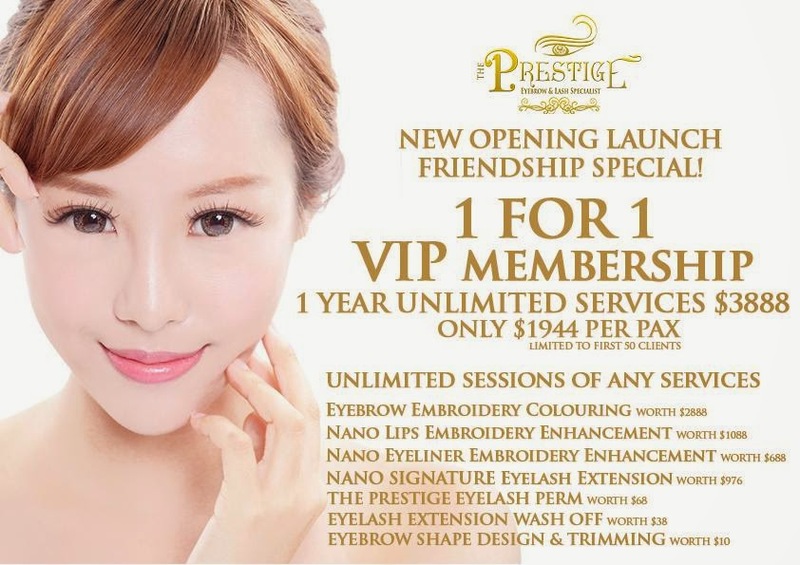 Hence, the naturally enhanced eyebrow embroidery colouring will slowly fade off naturally. It is a normal process to shed "old" skin cells to reproduce new baby skin. So it is normal to do a touch up once in 10-12 months to maintain your newly shaped eyebrows. CAUTION: Please avoid applying whitening skincare products on your eyebrows as it would lighten the eyebrow embroidery enhancement. Being Internationally Famous, Celebrity Eyebrow Specialist - Irene Teo, have many global clients flying down from overseas for her world renowned Feng Shui Eyebrows. One such international client is Mio Shiraishi, an aesthetic doctor from Japan, Tokyo. 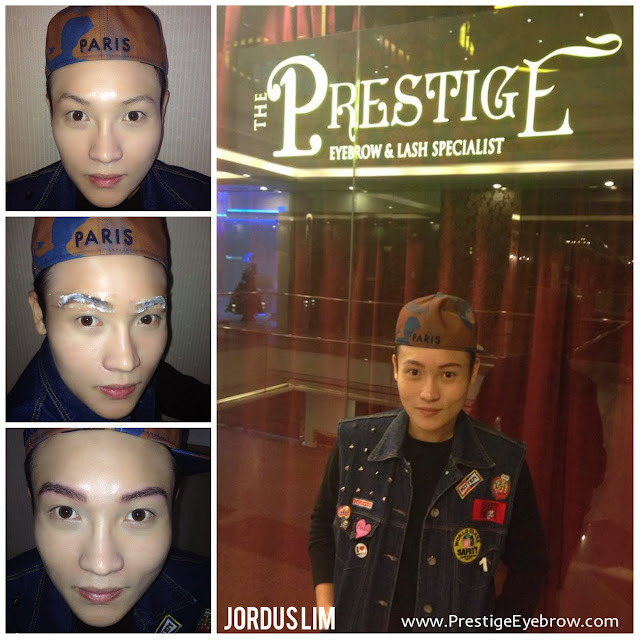 Doctor - Mio Shiraishi, from Japan, Tokyo, did her Eyebrow Embroidery Enhancement at The Prestige Eyebrow & Lash Specialist. A lot of Irene Teo's clients are really happy that her services may be done at Orchard Road, Singapore. It is much easier for them to find, most of all, when they are considered tourists in Singapore. Doctor Mio Shiraishi, is really happy with her treatment. I managed to take a photo with her! I also bumped into Celebrity Blogger - Celeste Chen. Celeste is a very talented vlogger. I must share with you one of her funniest and viral YouTube Video. 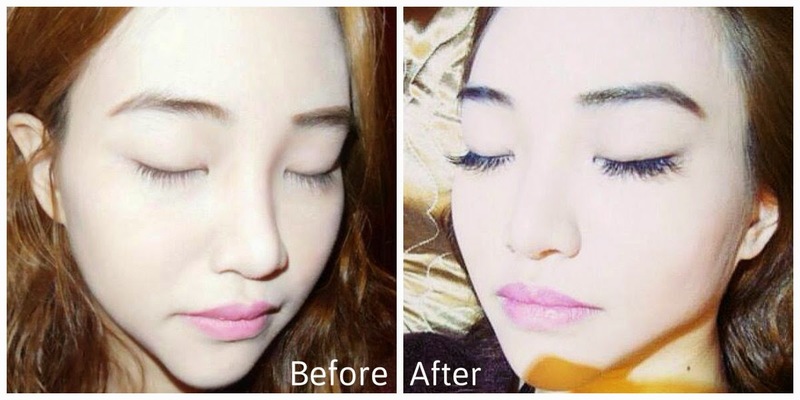 She does her eyelash extension there too. 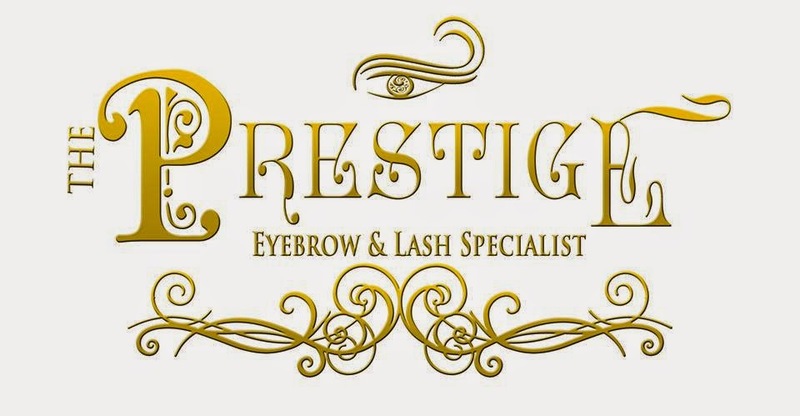 There's alot of celebrity bloggers that do their eyebrows embroidery enhancement and eyelash extensions at The Prestige Eyebrow & Lash Specialist. When ever I'm at The Prestige Eyebrow & Lash Specialist, I always bump into a lot of air stewardesses, stewards, and even pilots from Emirates Airlines, Singapore Airlines, Japan Airlines, etc. I guess its because they get to enjoy a 20% crew discount when they flash their crew pass! Its always great to be an cabin crew. We get a lot of peaks from everywhere, from food to drinks, to clubbing, and even from aesthetic and beauty places! Other Celebrity Bloggers who did their Eyebrows Enhancement at The Prestige Eyebrow & Lash Specialist at Pacific Plaza Level 3, Rachel Wong, Joanna Lim, Jolene Zhuo, Lucinda Zhuo, etc. Instead of their usual $3888 for UNLIMITED services (Promo: 1 for 1 - $1944/person). They are having a 1 for 1 promotion now. Sign up for their exclusive VIP membership with a friend now to enjoy this very special promotion price. This offer is only available for their 1st 50 VIPs. Quote "The SG Sisters" for 15% discount from now till end of Jan 2014.